I’ve been a longtime fan and customer of the Victorian Trading Co. – many of their products stock my boxes of holiday decorations, and many stay out all year long, adding nostalgia and whimsy to my home. I especially love their selection for children – the reproduction games and toys that are available through their catalog are old-fashioned and delightful, and mostly functional. We have wooden blocks and miniature music boxes and seemingly magical trick money banks, all of them cherished and played with often. 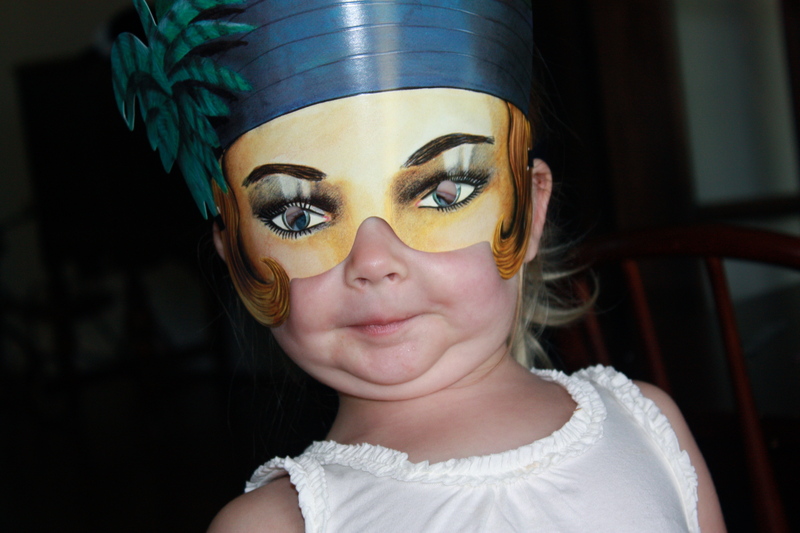 I first noticed these masks when I was pregnant with Gideon, and swiftly added them to my list of wishes. I pictured winter nights around the fire with theatrics and lots of laughter; I just knew in my heart they would be, for lack of a better word, awesome. What I didn’t know, however, was how utterly creepy they would be. 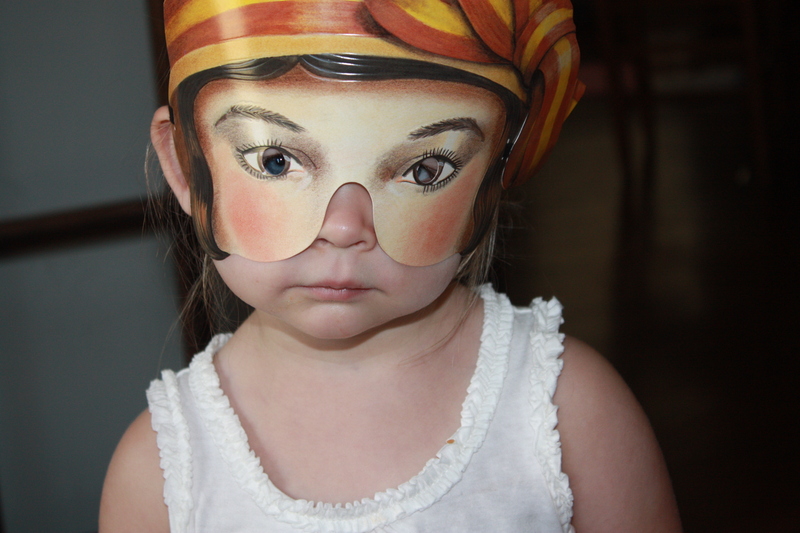 I bumped into the actual masks one day at a store in Fredericksburg, Texas, and was amazed at how they transformed a face and made everyone who looked at them either gasp or exclaim or yell, followed by giggles. They are so weird and hilarious and…fantastic. 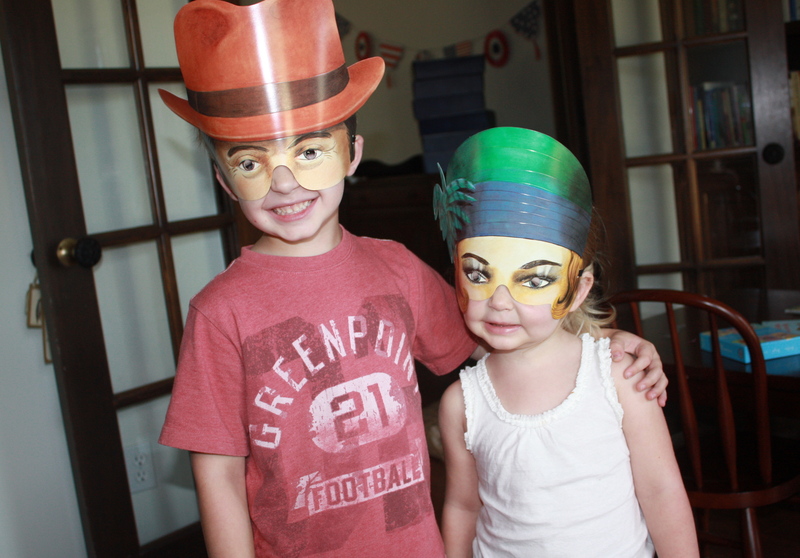 I was more determined than ever to add these masks to our arsenal of family fun. 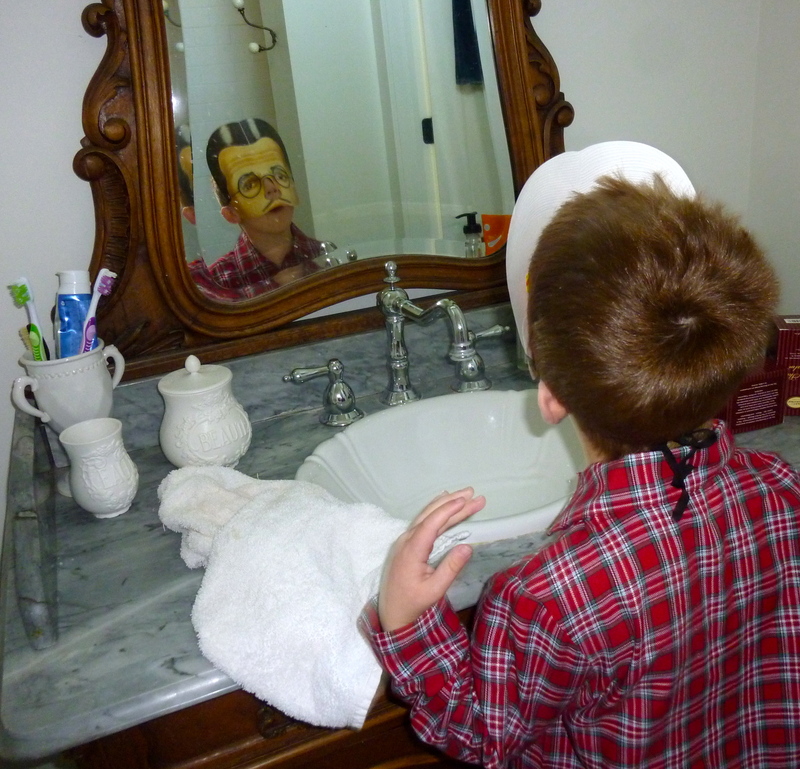 the kids were amazed, and couldn’t believe their reflections in the mirror! In our pajamas, we jumped in the van and drove down the hill to scare Papa. His horror and delight when he opened the van door and saw his slightly strange but t00-cool-for-school children staring solemnly and eerily at him in their masks was well worth the trouble it took to load the lot of us up. 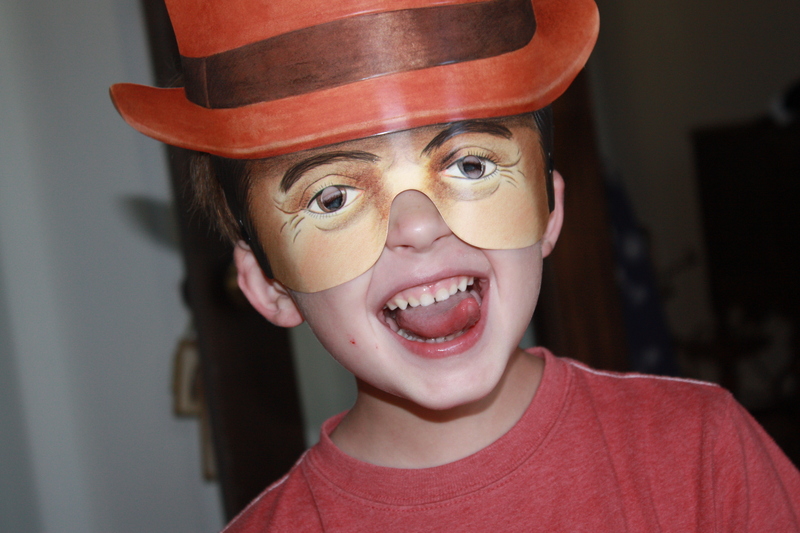 And our fun was compounded when the kids got to tiptoe into our friend Zac’s office to give him a good scare/laugh, as well. 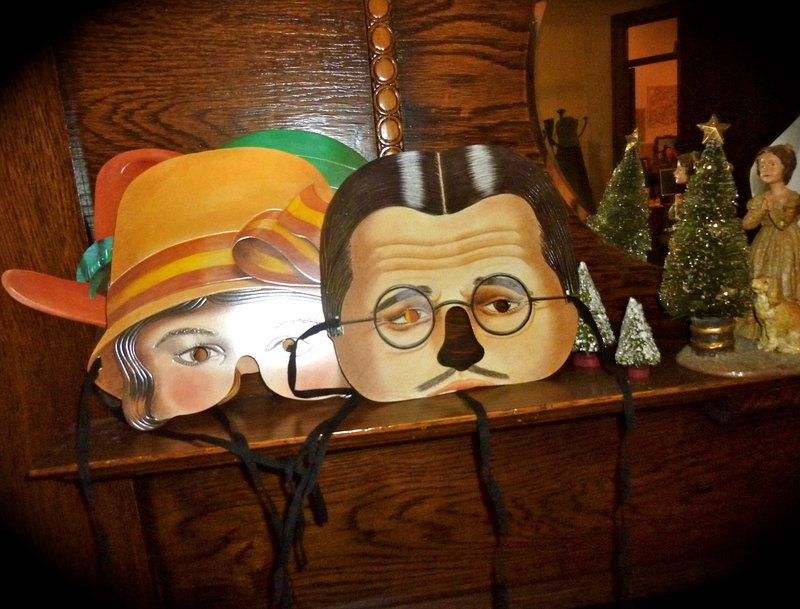 I’m so glad I finally bought these masks and am determined to add to our collection as holiday budgets allow. I encourage you to do business with the Victorian Trading Co., especially over the telephone. They are delightful. Click here to follow a link to their masks and take a look at their other products while you’re there. You can sign up for a catalogue, too! 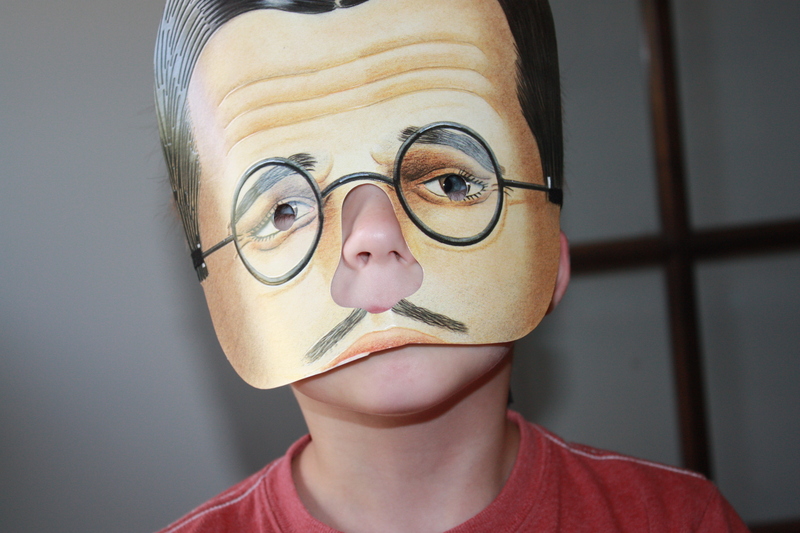 Or you could also click here to visit the makers of these masks, Mamelok Papercraft. I’ve only begun to peruse their collection of amazing paper products, but I did just notice they carry Beatrix Potter masks, and I’m now a little geeked out…hello, 2013 Easter baskets! !